Here is my Caardvark Sketch challenge card. Thanks for coming to look. 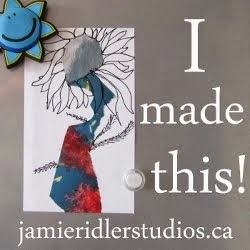 I used a stamp set I have had for a long time and never used from Close to My Heart, the stickers are from Creative Imagination, Stampabilities inks, and All Night Media color brushes. Love the clouds on the card base ... very pretty sketch card. 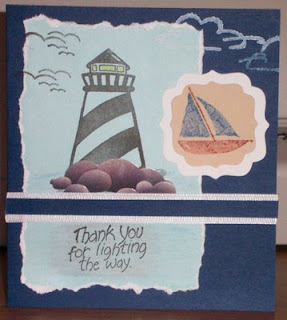 what a great combination of stamps and i LOVE the torn paper effect on your lighthouse panel! Great card! The colors are so perfect for the sea shore!